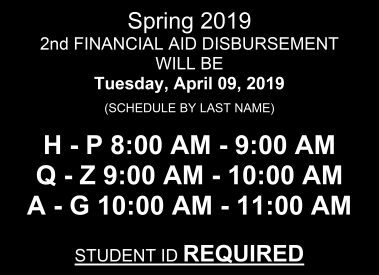 The second Spring Financial Aid Disbursement is Tuesday, April 9, 2019. Student ID Required. Students that miss their scheduled time, may come any time after 12:00 pm. For more information, contact the Business Office at (575) 461-4413, ext. 110.